I took Susan Fears’ 5 Series Introduction class at BERNINA University and enjoyed making the notebook cover. The 5 Series machines were great to work on. As I made my notebook cover an idea came to mind. As we were working, I began to plan another notebook cover for my daughter, Karalee. During a visit to our house in May, my 2-year-old granddaughter, Abby, suffered a brain aneurysm. 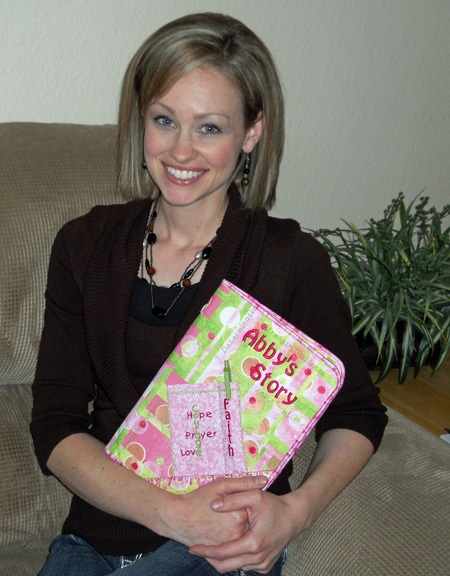 Abby was in a coma for several weeks, and spent 11 weeks in the hospital. Every day we find reasons to hope for a good outcome. It might be holding her for the first time without any tubes hooked up, hearing her say Mom for the first time, being able to smile or swallow a taste of applesauce, or riding a trike with her feet tied to the pedals and assistance helping her sit up. We don’t know what her recovery will be, but we still hope for the best. Karalee and her husband Anthony are the most patient, loving parents I have ever seen. I am very impressed with their stamina, their love for each other and their sweet children. 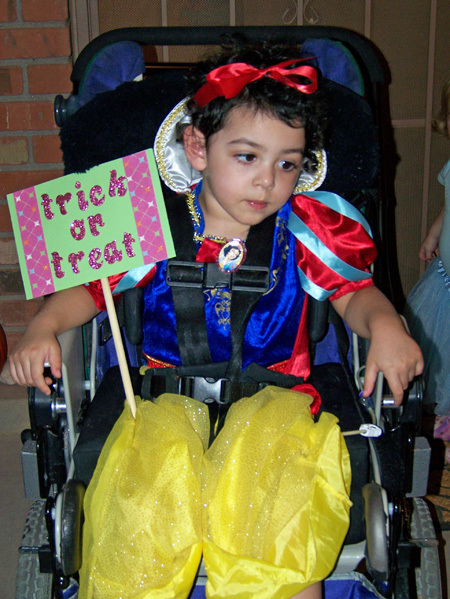 Abby is now 3-years-old and Karalee’s life revolves around doctors, therapy, appointments, and providing 24/7 care for her as well as her 1-year-old brother Spencer. 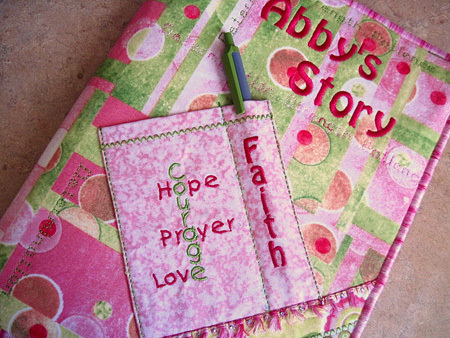 While Abby was in the hospital Karalee began to write down her feelings and memories of those first few weeks of Abby’s struggle for survival. She expressed to me that she had notes written in several different spots around the house. Whenever she had a thought she would just jot it down and leave it wherever she was at the moment. I thought a special notebook would help her stay organized, and the books could be changed out as she fills them. Thank you for the idea. Since I can’t be there, I can in some small way be connected to her and offer comfort when she looks at the words of encouragement stitched in the fabric. Abby has a long road ahead of her, as does her whole little family. She may not become the same chatty, energetic little girl she was before, but we will love her and be grateful that our precious little three-year-old Abby is still here. If you would like to check out Abby’s blog, Abby’s Angels, you will find updates about Abby, as well as her story from the beginning.